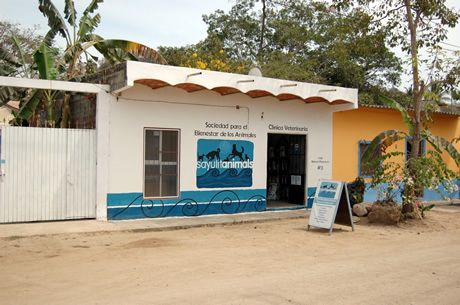 Sayulitanimals opened its doors in February of 2008, in response to the packs of dogs and hoards of cats who wandered around unwanted, sick, abused and actively reproducing. To meet the needs of the community, four core programs were put in place: Medical Aid for Street Animals, Adoption and Foster Assistance, Community Education and Free Spay and Neuter. Medical Aid for Street Animals was put into place to help abandoned cats and dogs suffering from parasites, mange, starvation and innumerable diseases and accidents. If you find a sick animal, Sayulitanimals will provide financial assistance for quality medical treatment. When you take it home to continue its care, you may be adding a new member to your family or placing it on our adoption list. If you live in Sayulita and are kind to a stray cat or dog in the plaza or on the beach, it very well may adopt you. But what if you find your next best friend while you’re on vacation? The solution is easy with Adoption and Foster Assistance. The requirements to take an animal out of the country are: the proper vaccines, a health certificate, a kennel and a plane ticket. Sayulitanimals will help you with the details, and the cost is minimal. If adoption is not feasible, perhaps fostering is. We always need more loving homes for short-term care. Using research from many sources, the Community Education program is a promise to educate our town concerning relevant and up-to-date animal practices. Whether it is medical aid, proper training or pet care fundamentals, Sayulitanimals puts the information in the hands that need it. Animal welfare is a daily challenge. The key to success is the Free Spay and Neuter Program. Nearly all animal problems stem from overpopulation: disease, abandonment or animal cruelty. Sayulitanimals offers free spay and neuter appointments every Tuesday and Thursday, as well as quarterly campaigns. Since January of this year, over 400 animals have been neutered, and the number continues to soar. 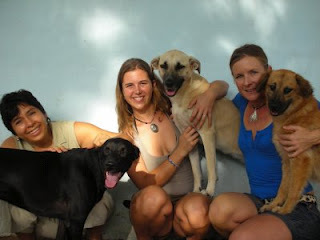 Sayulitanimals’ success is due to the dedication of its core family: Sara Briner, Cristian Di Natale, Shelly Labovitz, Gabriel Trejo, Marcia Alvarez, Nicki Cooper, Cherrie Olson, Bliss Fisher and Dr. Charlotte Burns, along with many other volunteers and supporters. Progress is made through the understanding that it takes everyone working together to bring about significant change.